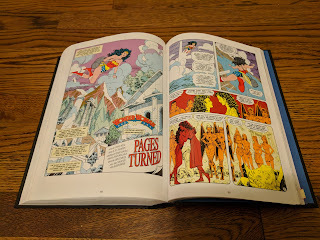 Wonder Woman by George Pérez Omnibus Vol. 3 - Collecting Wonder Woman (1987) #46-62 and #168-169, War of the Gods (1991) #1-4, and material from Wonder Woman (1942) #600. 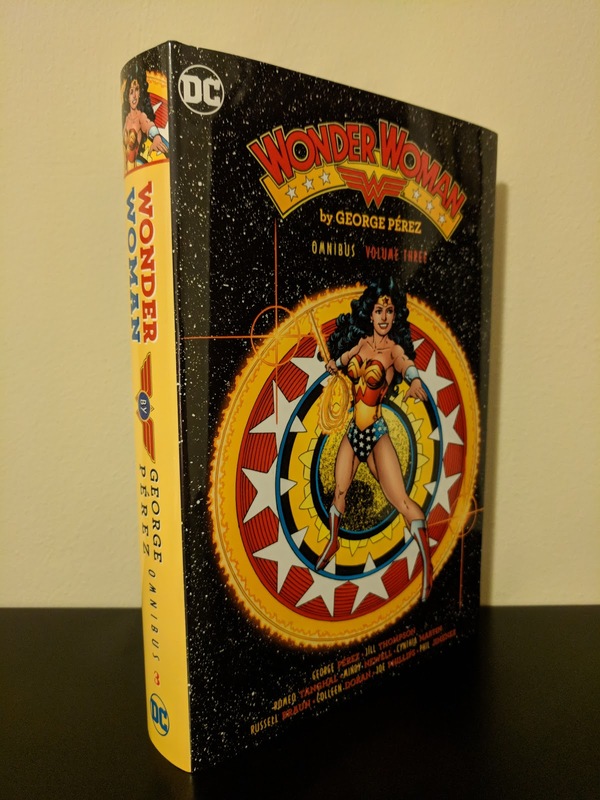 With the recent release of this volume, DC has finally collecting George Pérez's classic Wonder Woman run in the omnibus format. Fortunately, this volume didn't take nearly as long to hit the shelves as it did for the second volume to be released after the first (an almost two and a half year gap that may have been stretched out in order to coordinate the release of volume two the Wonder Woman film's release last year). In any event, after a little over three years, all of Pérez's work on Wonder Woman has been collected in a beautiful oversize format. I didn't come to comics until much later than most (after college) and as result, I had not read any of this material from the mid-eighties and early-nineties. 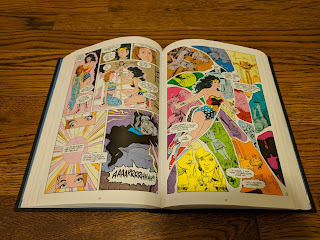 When I picked up the first Pérez Wonder Woman omnibus, it was based solely on reputation and my enjoyment of some more recent Wonder Woman stories by the likes of Greg Rucka and Brian Azzarello. 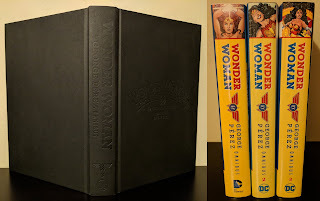 I had always heard that Pérez had written what was generally considered the definitive Wonder Woman run, and based on my love of these three volumes, I'd have to agree. 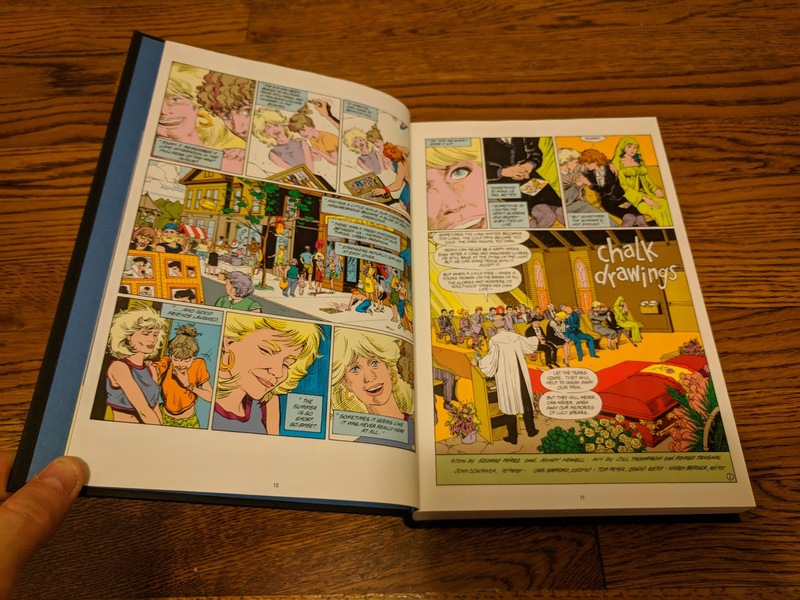 Volume three doesn't waste any time in packing an emotional punch, beginning with issue forty-six, in which Pérez pens a story about teenage suicide. Focusing on Vanessa Kapatellis and her best friend Lucy (the deceased), the tale powerfully illustrates the different ways a person's death can effect everyone around them, especially the added grief caused by one taking their own life. The confusion, doubt, and questions that haunt the friends and loved ones left behind. The subject matter of the issue, like others earlier in Pérez's run, show just how relevant this run continues to be thirty years after it began. From there Pérez gives us Diana's first adventure with Donna Troy (post Crisis on Infinite Earths that is), known at this time as Troia of the New Titans. That leads into a recap issue of the entire run up to that point before Pérez utilizes a double-sized fiftieth issue to set the stage for the final act of his run that sees the machinations of classic Wonder Woman villains Doctor Psycho and Circe come to light. Their actions incite the "War of the Gods" event that Pérez uses to effectively bring his run to an end. As with most of the material in Volume 2, Pérez contributes a number of covers but at this point in the run is primarily on writing duty (with some help from Mindy Newell). Jill Thompson is the primary penciler on the majority of the issues collected here, with periodic fill in work from Colleen Doran, Cynthia Martin, Joe Phillips, and Russell Braun. Long time Pérez-collaborator Romeo Tanghal provides ink work on a good portion of this material. There are three issues re-printed at the end of this volume that are disjointed story-wise, but are collected here because of Pérez's contributions to them: a two issue "Paradise Island Lost?" story co-written with Phil Jimenez during Jimenez's run on the title and then a story by Gail Simone from Wonder Woman (1942) #600 which Pérez penciled. These issues were released nine and eighteen years after the end of Perez's run respectively. I love that they were included for completeness-sake, but they are more difficult to enjoy without any other context of what was going on in the title at the time. Similarly, the "War of the Gods" story is not presented in its entirety. The event as a whole was comprised of twenty five issues across over fifteen titles (I had no idea that it was that massive). 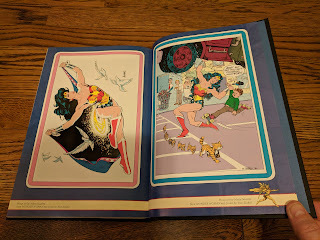 It was Pérez's brainchild, and everything he worked on is collected in this volume, including the four double-sized "War of the Gods" issues and the four Wonder Woman issues that tied into the event. Enough of the crossover is presented here for someone like myself (who has never read it before) to get the gist of the whole story, but it is obvious that quite a bit goes on in the other titles. It would have been nice to not have to connect the dots so to speak. That being said, I do understand why the seventeen non-Pérez issues weren't collected in a Pérez-specific edition such as this. 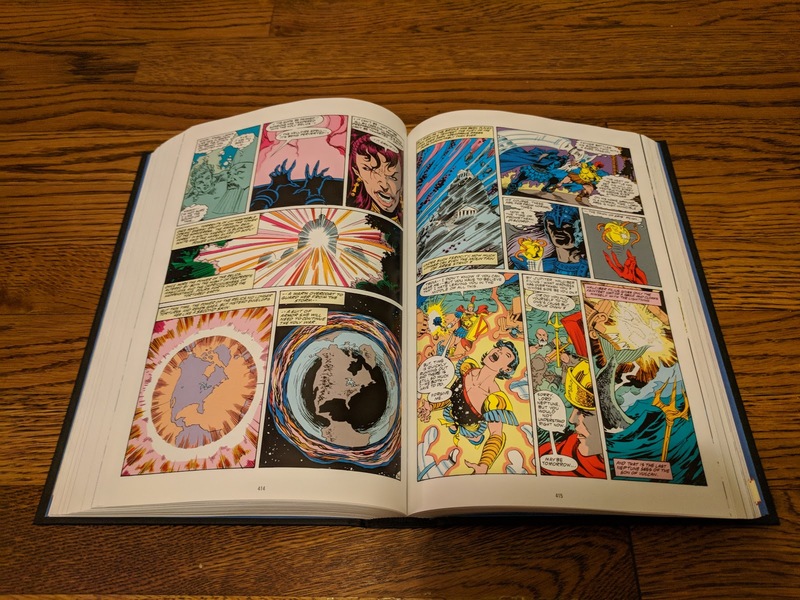 The entire "War of the Gods" crossover could be its own omnibus due to its length, which also makes it curious as to why DC did not include everything in trade paperback of the event that they released two years ago. 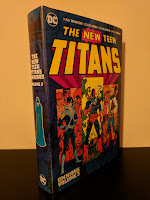 This third volume sports a debossed, flat matte black cover, the same as volume 2 (and a number of other DC collected editions from the same era). 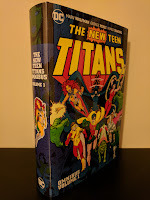 It is a nice clean look, the only problem being that it is a bit of a let down after the gorgeous full color, wrap- around cover we were given on the first volume. 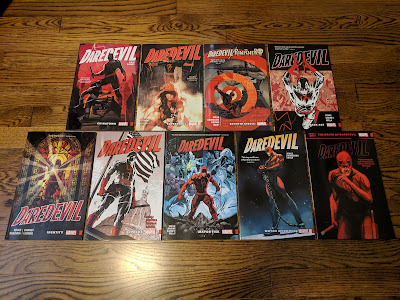 As a collector, it would have been nice to have all three volumes match (not that you see the covers with the dust jackets on). The end of this collection also reprints some character bios from the Who's Who in the DC Universe series, as well as pin-ups from Wonder Woman (1987) #50 and from the War of the Gods issues. I have absolutely loved George Pérez's run on Wonder Woman and these three omnibus volumes are now some of my favorite books in my collection. For six years from February, 1987 until February, 1992 (almost seventy issues), Pérez tackled a number of topics that remain relevant today and the art (first by Pérez, then followed primarily by Chris Marrinan and Jill Thompson) was top notch throughout the entire run. 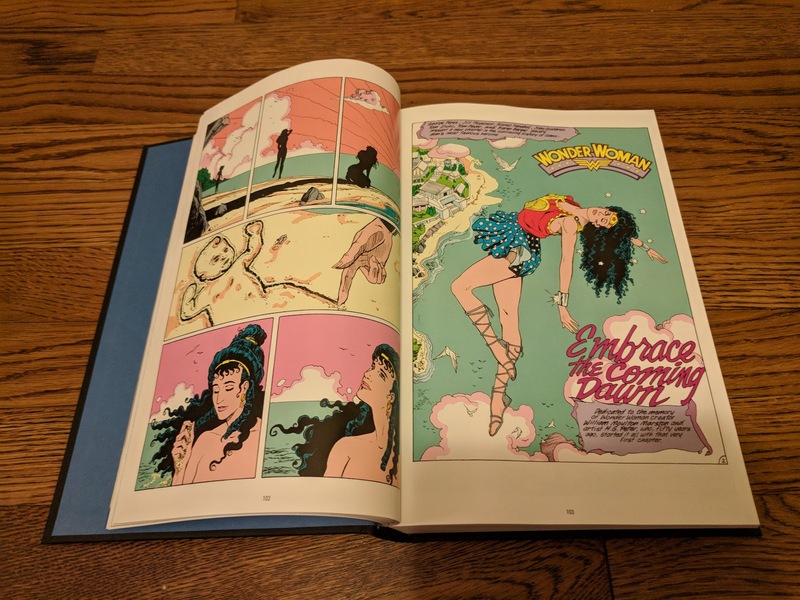 If you have any interest in Wonder Woman, I highly recommend this run, especially now that it has been collected in its entirety.